The 2nd debate in IWON's IIUM Public Debate Series is happening this 5th Dec 8PM at ICC. Do come & support us in this debate on a very important social and legal issue. It will also be LIVE on Astro Awani ch501. 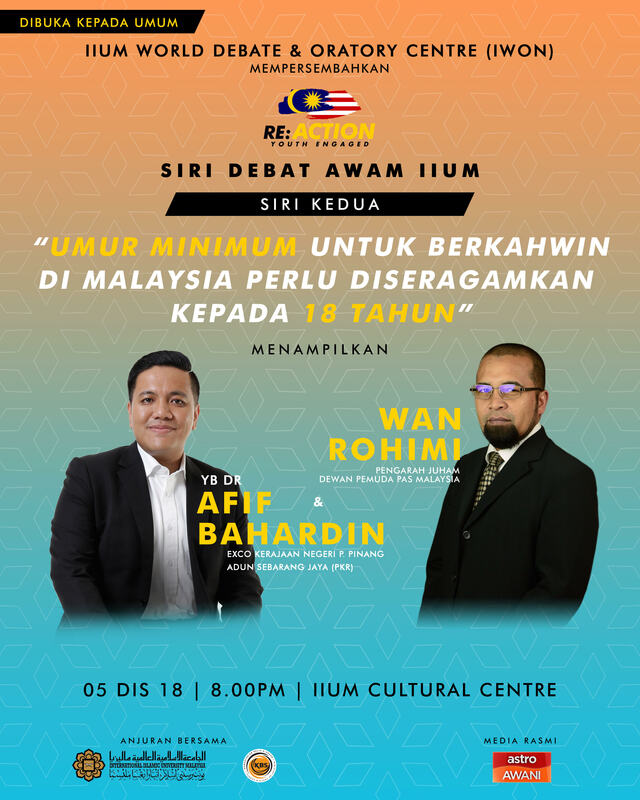 The debate will be in Malay.